Dalhousie is located on the western edge of the Dauladhar Mountain Range, Himalayas. It is named after Lord Dalhousie, who established this town as a summer retreat. Scottish and Victorian style of architecture is found in the bungalows and churches in the town, which has a very old-world feel to it. Dalhousie is easily approachable from most cities in North India and is, therefore, quite a popular destination for Indians and foreigners. It is nestled amongst the lush green valleys of Himachal Pradesh and is an extremely calm and serene place to visit if you are looking to get away from the hustle-bustle of bigger cities. The Mall road here is the heart of the town with the major eateries and stores located here. Most 4-star hotels in Dalhousie are quite centrally located. While your peace and privacy are guaranteed, you are also not too far away from the main areas of the town. If you are looking to escape the heat of the plains, then Dalhousie is the ideal destination for summers. If you like winters and want to see the snow, then you can visit Dalhousie in winters as well. 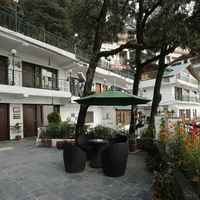 Cleartrip has a large number of listings for hotels in Dalhousie and can help you plan a memorable vacation. The finest 4-star Dalhousie hotels provide a deluxe experience to its guests. A wide range of facilities is provided by the hotel to its guests. The rooms and even the hotel are designed keeping the comfort of the guests in mind. The standards of services provided by these hotels are exceptional. The first thing that comes to mind when booking accommodation is location. Most of these 4-star hotels in Dalhousie are built in picturesque locations that give you wonderful views of the beauty surrounding them. They offer all the basic facilities, such as 24-hour security, dry cleaning and laundry services, 24-hour room services, wi-fi etc. All 4-star hotels have a restaurant and maybe a bar and a coffee shop. They offer business services, such as conference rooms with projector, whiteboards, tech support, etc. 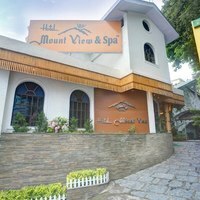 Most of these hotels also offer pick and drop services for sightseeing and also have a travel desk to help you get information about key attractions and more. The other facilities that these 4-star hotels offer may include recreational facilities, such as a fitness centre, spa, games room, etc. A stay at a 4-star hotel in Dalhousie can be an extremely comfortable and a relaxing experience. The lovely climate of Dalhousie allows many families, friends, and couples to flock to Dalhousie. The luxurious stay in the hotels helps you to make your trip more pleasurable. While you are booking your hotel in Dalhousie make sure that it is located in a central area or close to the popular sightseeing places so that you can get a nice view from your hotel. Booking through Cleartrip allows you to choose the area you want to stay in. It will give you options that suit your preferences. You can also choose the essential facilities you require in a hotel and get listings accordingly. There are many good 4-stars hotels in Dalhousie like the JK Clarks Exotica , Aamod Dalhousie and S.S. Resort which are located in the popular areas of this city. Cleartrip also has some wonderful offers and discounts on bookings. You can avail these if you book in advance. During the peak season rates are higher and there is a lot of tourist rush. Booking in advance will be beneficial as you can reserve a hotel of your choice. Make Dalhousie your vacation destination this year and book with Cleartrip to come back with some wonderful memories.